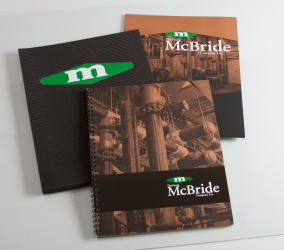 The Frank McBride Company, Inc. | Welcome To Stokes Creative Group, Inc. 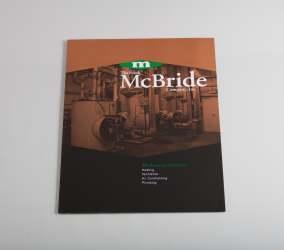 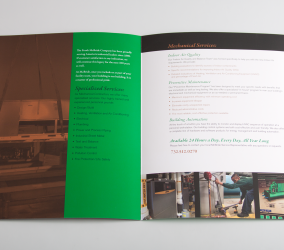 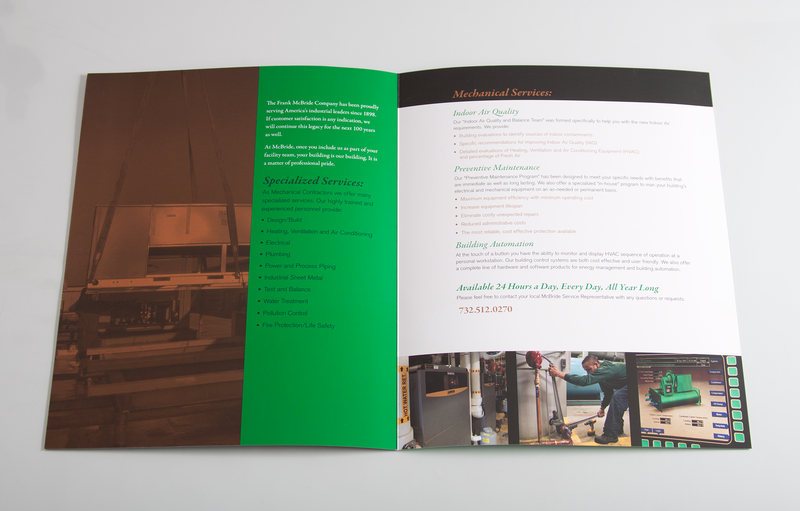 The Frank McBride Company, Inc., a well-respected mechanical contractor, wanted unique and impressive marketing materials to showcase their business in the best possible light. 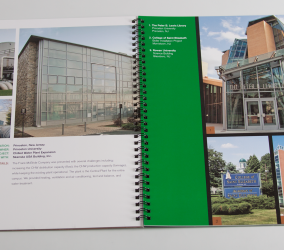 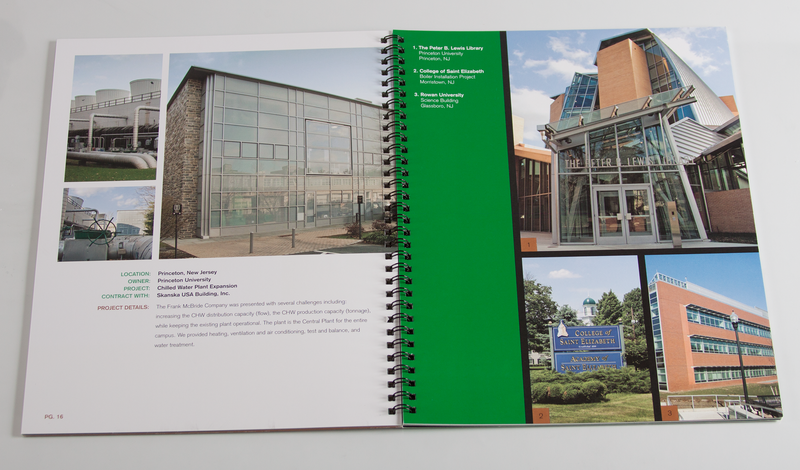 Stokes developed a concept that utilized special paper stocks to add style and instant impression. 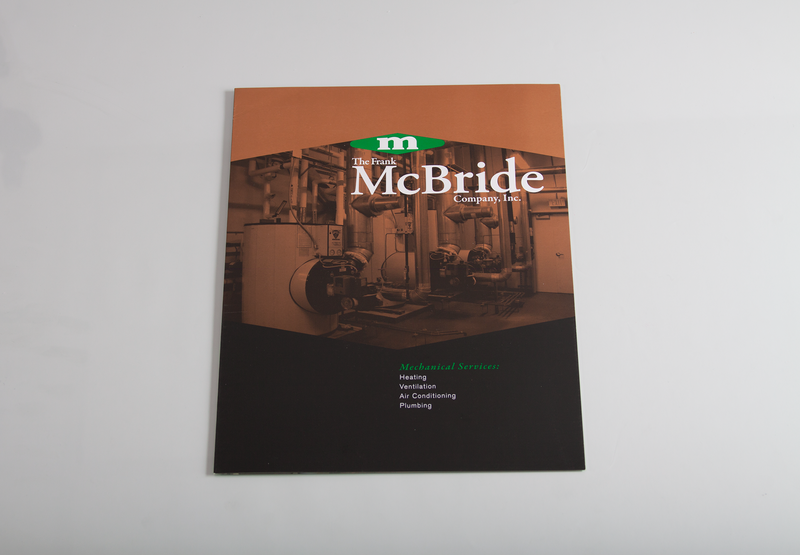 Stokes created a 38-page, spiral-bound corporate brochure, the pages of which included ‘”Our History,” “The Firm” and “Our Services.” Stokes also created project pages featuring each service McBride provided including “Corporate,’” “Data Centers,” “Education,” “Entertainment,” “High Rise Residential,” “Manufacturing,” “Medical” and “Pharmaceuticals.” Our graphic design experts also created a small brochure for their mechanical services (HVAC and plumbing). 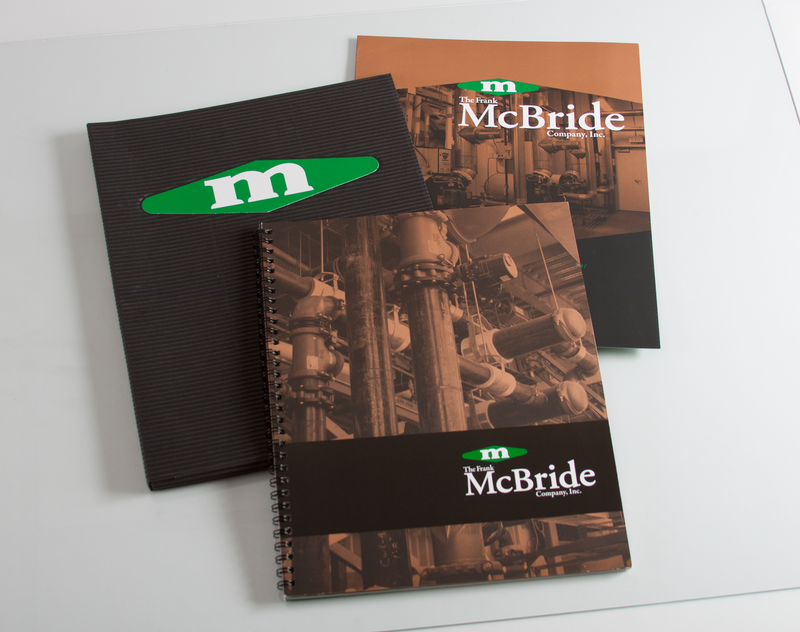 The pieces were produced using a special copper ink that complemented the other design elements, giving the marketing materials a unique look and feel.